Drawing from the more than 1,000 images exhibited by FotoFest, this book documents the work of fifty photographers from ten countries. FotoFest 1992, a major festival of international photography, brought Latin American photography into focus for a wide audience. Offering a diverse selection of photographers, countries, artistic movements, and subject matter, the show revealed a photographic tradition rich in history and creativity. Drawing from the more than 1,000 images exhibited by FotoFest, this book documents the work of fifty-two photographers from ten countries. The photographs range from the opening of the Brazilian frontier in the 1880s to a secret archive of documentary images from El Salvador's recent civil war to works of specifically aesthetic intent. 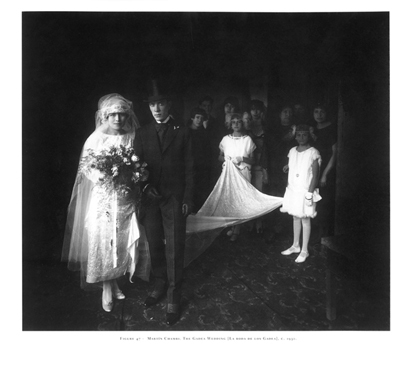 Many of the photographs appear here in print for the first time. Watriss's opening essay provides the curatorial overview for the book. Lois Zamora examines the roots of visual image-making in Latin American cultures. Boris Kossoy addresses the history of Latin American photography through the nineteenth century, while Fernando Castro covers the contemporary scene. With its compelling images and English-Spanish text, this book will serve as a benchmark for future studies of photography in Latin America. of English at the University of Houston. From its beginnings, photography has lived in persistent conflict with the nature of its being and those elements which can define it. This conflict arises over whether it is the representation of truth or a mechanism for metaphors. Photography is the most painful reiteration of what we are and what we don't want to be. It is the truth constructed with pieces of truth and pieces of lies. It is what anyone wants it to be.... With photography, there is always a mystery, a veil which does not allow us to have the clarity we desire. The continuing scarcity of material on Latin American photography and the yet unexplored richness of its history have been the motivating forces behind this project, originally a series of exhibitions organized for FotoFest 1992 , then a traveling show with Independent Curators Inc., and now this book. Given the times in which we live, among the legacies of colonialism and long-standing political and cultural hegemonies, it would be impossible to undertake a project like this one without generating contradictions and questions. It may be useful, therefore, to begin with what it is not. 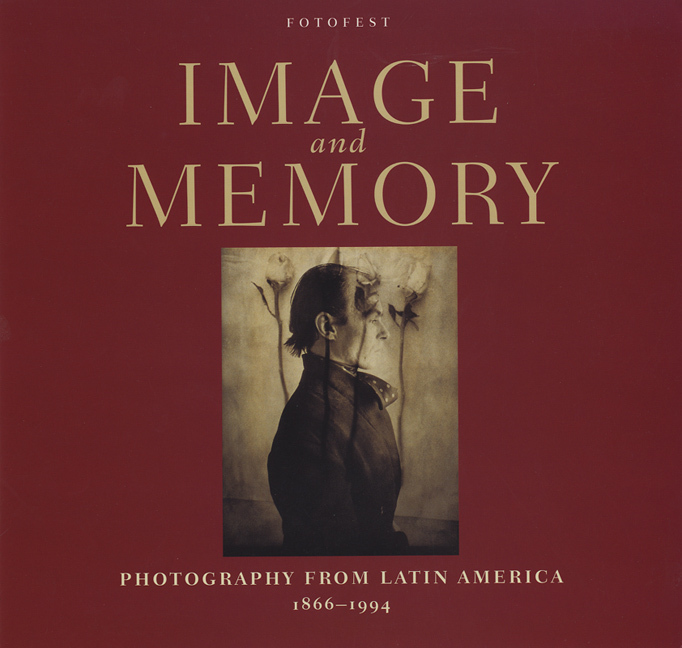 Image and Memory: Photography from Latin America, 1866-1994 is not intended to be a formal history of photography in Latin America. Nor should it be viewed as a comprehensive survey of Latin American photographers, past and present. Despite the country-by-country delineation, the selections were not made on the basis of nationality. Not all countries are included and some appear more than once. Some of the better known names of Latin American photography--Manuel Alvarez Bravo, Pedro Meyer, Graciela Iturbide--are missing as well. Of the many Mexican photographers who are the most likely to be known by audiences outside Latin America, only one is represented. For reasons of time and space, and because an important selection of Chilean documentary work had been shown at FotoFest 1990, Chilean photography was not included in the FotoFest 1992 exhibitions from Latin America. In the case of Cuban photography, which played such an important role in Latin American photography after 1959, difficulties with communications between Cuba and the U.S. made it impossible to review the work of contemporary Cuban photographers in time to include them in the 1992 exhibitions. Certain periods of time, 1950-1980, have not been given significant attention and there is little coverage of video, computer imaging, or three-dimensional installations. Fernando Castro states in his essay that non-Latin American curators have enjoyed a luxury unavailable to most Latin American curators--that of traveling from country to country to have a firsthand look at Latin American photographers' work. What he says is true. The selection represented in this book is the result of eleven months of travel and research, involving visits to nine countries. The advice and assistance of the many Latin American artists and curators listed in the acknowledgments were invaluable, but responsibility for the selection remains with the organizers of FotoFest, Fred Baldwin, cofounder and president, and myself. What has resulted is an informed selection, but one that is also personal and idiosyncratic. For this reason, it necessitates explanation. As every writer in this book points out, there is no such thing as "a Latin American identity." Nor are there paradigms within its photographic art. For many years, however, the international view of Latin American photography focused narrowly on what Jorge Gutiérrez has referred to as "el continente cargado do lo exótico ... entre la miseria, el machete y el fusil, llenos de un romanticismo bonito pero peligroso" [the continent laden with exoticism ... between misery, the machete and the gun, filled with lovely but dangerous romanticism]. Without ignoring these realities, this selection is intended to address a broader panorama of creative expression in Latin American photography. The work selected for this book met at least two of three criteria: artistic merit; association with important directions in the history of photographic art in Latin America; and intentional connection to important aspects of Latin American history and culture. Preference was given to work that had not been widely seen outside Latin America or its country of origin. Emphasis was placed on artists working and living in Latin America. Concern for diversity of voice and genre played an important part in shaping this selection of photographs. We chose the work to give viewers a sense of the depth and richness of Latin American photography and to show how photography has reflected (or articulated) important historical, social, political, and aesthetic forces in Latin America since the mid nineteenth century. 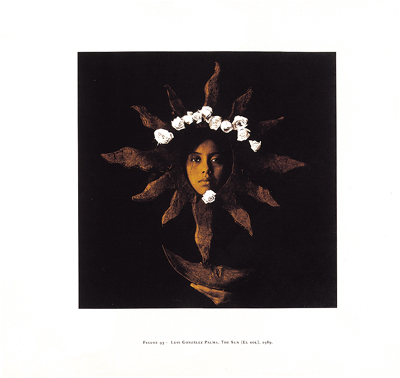 Despite the increasing internationalization of artistic expression and Latin America's long-term connections to artistic movements in Europe (and subsequently the United States), we found the strongest work to be that of photographers who had taken their own culture and heritage as primary sources of inspiration or points of departure. Because of Latin America's history, the ethnic complexity of its populations, and its problematic relationships to Europe (and later to the United States), there is ongoing discussion about the interrelationship of creative intent, audience, and cultural representation in the work of Latin American artists, particularly visual artists. Photography is an increasingly dynamic part of that discussion, and it raises issues that are explored from very different perspectives in this book. Lois Parkinson Zamora approaches photography from outside the field, investigating its relationship to other kinds of imagemaking in Latin America, in particular to visual sign systems of pre-Columbian and colonial cultures. Boris Kossoy and Fernando Castro address the development of photographic art in Latin America through its history in the nineteenth and late twentieth centuries. With few exceptions, the nineteenth-century photography in this collection is part of a process of discovery and documentation with clear reference to institutions, audiences, and aesthetics in Europe. By the early twentieth century, work from the Peruvian Andes evidences a more complex approach to image-making, reflecting both syncretism and contradictions within coexisting indigenous, colonial, and post-colonial societies. Photography of the late twentieth century more directly addresses the questions of dissonance and consonance inherent in cosmopolitan industrial economies that function alongside pre-Columbian Amerindian cultures and the vestiges of nineteenth-century colonial institutions. The book's opening section of historical photographs from the 1860s by Uruguayan photographer Esteban García illustrates the selection process and the collaborative nature of the curatorial work. Neither García nor the subject of his work, the War of the Triple Alliance, are widely known outside the southern cone of South America. In the history of Latin American photography, however, García's work is considered the first and most complete set of war photographs made by a Latin American photographer. His photographs are among the only remaining visual documents of a seminal event that shaped the direction of international trade and political alignments in four Latin American countries. The circumstances surrounding García's work reflect the recurrent dynamic between regional and international forces in Latin America and its impact on the practice of photography. García's work was commissioned by a Montevideo photo studio financed by U.S. entrepreneurs who were attempting to replicate the commercial success of Matthew Brady's U.S. Civil War photographs. The Bate & Co. studio advertised a portfolio of ten war images by García for sale in a Uruguayan newspaper under the heading La Guerra Ilustrada (The Illustrated War), "preciosas vistas fotográficas" (beautiful photographic vistas). Only two known sets of the original portfolio remain in public collections. In Montevideo, Uruguayan teacher and photographer Diana Mines brought the work to our attention and facilitated its loan from the Biblioteca Nacional de Uruguay. 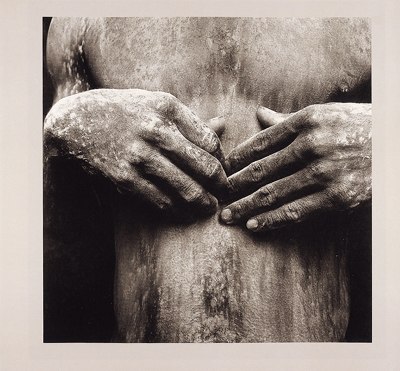 The FotoFest 1992 exhibition was the first international showing of García's work. 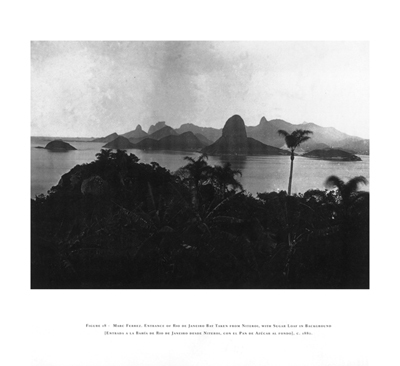 Following the War of the Triple Alliance, the beginnings of nineteenth-century industrialization in Brazil were documented by the extraordinary Brazilian photographer Marc Ferrez. Ferrez recorded Brazil's drive for economic development and the modernization of its cities between 1865 and 1914. He combined great artistry with public service and national promotion in ways that paralleled the work of Charles Marville and Edouard Baldus in Europe and nineteenth-century landscape photographers of the Western frontier in the U.S. In Medellin, the emerging industrial center of Colombia during the late nineteenth century, two Colombian photographers, Melitón Rodriguez and Benjamin de la Calle, used a different genre of photography--portraiture--to record the growth of a new urban society. The studio portraits of Rodríguez and de la Calle were part of a worldwide phenomenon in photography that had counterparts in many countries in Latin America: Alejandro Witcomb in Argentina, Romualdo García in Mexico, and Eugène Courret in Peru, to name only a few. The two collections of religious photographs from Guatemala and Ecuador in the late nineteenth and early twentieth centuries are remarkable illustrations of different ways in which photography recorded the workings of the Catholic Church in post-colonial societies. Juan José de Jesús Yas's formal studio portraits of the Guatemalan priesthood are among the most refined and haunting reflections of Catholic hierarchy to be found anywhere in the world. Photography collected by Taller Visual from Catholic missions in the Ecuadorian Amazon reveal how photographs, both amateur and professional, were used to reinforce (and validate) continued operation of European institutions in indigenous communities. 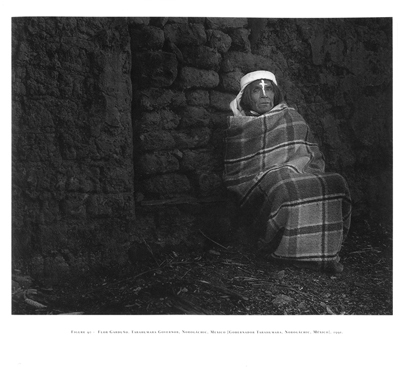 In the 1920s and 1930s, photographers from the Peruvian Andes show the rapidity with which international ideas of art and technology were absorbed by mestizo and Amerindian societies. In their composition and use of theatrical mise-en-scène, these photographers demonstrate a mastery of multiple genres, combining documentary portraiture with elements of pictorialism and surrealism. Their imagery displays a sophisticated conjoining of regional and international perspectives. This body of work, assembled for exhibition by Edward Ranney, Fernando Castro, and Peter Yenne, also casts new light on one of Latin America's photographic icons, Martín Chambi. In the context of this selection, Chambi is no longer seen as an isolated Indian genius, but rather as part of a cosmopolitan community of artists in the southern Andes. In this collection, the 1930s Peruvian work represents a shift toward a more modern, self-consciously analytic perspective. In many of the Peruvian images, a seemingly intentional sense of irony is suggested by the paradoxical juxtapositions of costume and background. The images raise interesting questions about artistic intent in the representation of place and subject. This kind of creative intervention is rarely evident in the historical photography of García, Ferrez, Rodríguez, and de la Calle, which precedes the Peruvian work in this book. The earlier work does not display this sense of ironic intent or playful use of cultural artifact. It was involved in a more straightforward process of documentation, articulating the physiognomy of Latin America to an outside world. Different aspects of modernism are illustrated in the photography of four Argentine women: Grete Stern, Annemarie Heinrich, Alicia D'Amico, and Sara Facio. Their work, produced between the 1930s and r960s, serves as a bridge between the past and present in this book. As an immigrant from Germany in the 1930s, Stern brought to Argentina the avant-garde photographic aesthetics of the German Bauhaus. Heinrich, one of the first women in Argentina to open her own photography studio, used the techniques of commercial portraiture in the 1940s and 1950s to celebrate the international stature of Argentine film, dance, and theater. Facio and D'Amico, who worked both collaboratively and independently, produced one of Latin America's early social documentaries in the book Humanario , an exposé of conditions in a state-run insane asylum. In a country which still identifies its culture as European, these women have played an important role in the development of contemporary Argentine photography and its promotion as a legitimate part of the art world. In the last twenty-five years, contemporary Latin American photographers have become increasingly involved in the search for individualized expression, the examination of self and society. In much of their work, there is a deep concern for the representation of memory and the meaning of culture. The contemporary section of this book opens with the work of two artists--Flor Garduño (Mexico) and Luis González Palma (Guatemala)--who explore these issues in very different ways. The juxtaposition of their work calls attention to two distinct and important directions in modern Latin American photography. Flor Garduño's work is part of the genre of classical black-and-white photography long associated with Manuel Alvarez Bravo's work in Mexico. In paying homage to the resilience and vitality of Latin America's indigenous cultures, Garduño carries forward important traditions within Mexican visual art. Moving between document and theater, her images also raise questions about the nature of memory and its representation of culture in contemporary photography. Garduño's photographs reflect the ambiguous relationship between the present and the past, and how modern imagery is used to portray (and validate) memory. Luis González Palma's art is also deeply involved with indigenous culture and its history. His work addresses the encounter between European and indigenous peoples--the tragedy of the pre-Columbian past and the ongoing struggle of the Guatemalan Indian for social justice and cultural preservation. Unlike Flor Garduño, González Palma abandons all suggestion of documentalism. His three-dimensional works combine photography with other media, reappropriating and reordering elements of portraiture and still life to create his own interpretation of memory. El Salvador: In the Eye of the Beholder is a deliberate utilization of documentary photography to create historical memory. In the twentieth century, documentary photography in Latin America has played a particularly important role in creating and preserving public memory of historical events: the Mexican revolution; the Cuban revolution; the Nicaraguan revolution; political events in Argentina, Chile, and Brazil; and currently the Zapatista rebellion in Mexico. The Salvadoran work is an unusually important example of this documentary tradition because its creators were participants in the historical events they recorded and the collective purpose of the archive was more important than individual authorship. Conscious of the need to establish (and control) their own record of history as it was lived and seen by them, Salvadoran opposition forces started the photographic archive from the outset of the twelve-year conflict. To ensure its survival, the archive remained constantly on the move for years, and the names of many or its photographers are unknown. In its intent and execution, the Salvadoran archive is one of the few examples anywhere in the world of the sustained use of still photography to formulate a visual legacy of a political opposition movement. The images in this book and those shown at FotoFest 1992 have been selected from a larger exhibition done by Katy Lyle working with the Salvadorans. The Argentine and Uruguayan work in The Modern Landscape is a significantly different approach to the representation of political history. The three Argentine and two Uruguayan photographers have worked independently, but their imagery references a common experience: more than a decade of military dictatorship in the 1970s and 1980s when almost every family in Argentina and Uruguay lived with the experience of torture and disappearance. These photographers are deliberately not documentary in their approach. In distancing themselves from classical photojournalism, they create metaphorical landscapes to represent personal isolation, anonymity, death, the absence of collective morality, the arbitrary nature of human survival. Their images are intensely personal expressions of political memory, speaking to the dilemma of urban societies that are both victims and conspirators in their own oppression. With changes in economic markets and the availability of new photographic materials after the 1960s, the predominance of black-and-white photography in Latin America has been increasingly challenged by other forms of image-making. In the last twenty-five years, there has been an enormous increase in mixed-media, conceptual and staged work, computer imaging, video, and three-dimensional installations. When color photography emerged in the 1970s and 80s, much of the strongest work came from Brazil, where photographers had access to color materials much earlier than their colleagues in other countries. Brazil's size and abundance of natural resources alongside government investment policies to promote commercial expansion helped create the economic boom of the 1960s, which generated a large advertising and publishing market for color photography. Color from Brazil shows how some of Brazil's best-known photographers are using color. Among Latin American photographers who are exploring formalist and conceptual ways of representing the heritage of culture, Mario Cravo Neto has been one of the most consistent and successful. Working in the northeast port of Bahia outside the mainstream of the Brazilian art world, Cravo Neto draws upon aesthetic traditions in painting and sculpture to create luminous black-and-white portraiture of the Afro-Brazilian presence in the New World. In Latin America as elsewhere, boundaries between classical photography and other visual arts have become blurred. Photographers are pushing the edges of still photography into other fields, and experimental work is challenging long-held definitions of photography. Photographers are reappropriating cultural icons, twisting and distorting their customary usage. Many contemporary Latin Americans working with photography as their primary medium refer to themselves as artists, not photographers. This is true for most of the twelve artists from Colombia and Venezuela in the last two sections of this book. Their works confront official imagery and memory with a demystification of the spiritual and emphasis on the profane. They challenge traditional aesthetic practices and established methods of presenting fine art and photography. To repeat Jorge Gutiérrez's words at the beginning of this introduction, their works are a form of truth deliberately "constructed with pieces of truth and pieces of lies." The history and practice of Latin American photography raise vital questions about relationships of power between cultures, about representation of culture and its meaning, about connections between intention, expectation, and content. New research and analysis comingfrom Latin America are bringing to the foreground fresh critical interpretation as well as heretofore unknown photographers and photographic movements. Latin American historians and researchers are reclaiming authority over their own photographic past, and they are broadening the contexts in which Latin American photography is viewed. Regional salons and large-scale Latin American photographic events such as the Encuentro de Fotografía Latinoamericana in Caracas (1993), the biennial festivals Nafoto in Brazil and Fotoseptiembre in Mexico, and the V Coloquio Latinoamericano in Mexico City (1996) are bringing Latin American photography to increasingly large audiences. Latin American photography is no longer an isolated phenomenon in an exotic landscape. It moves within an international continuum integral to the history of western art. It is the intention of this book to support that process.